The quantities below made about 20 fritters; an adult serving is probably about 5 as part of a main meal. 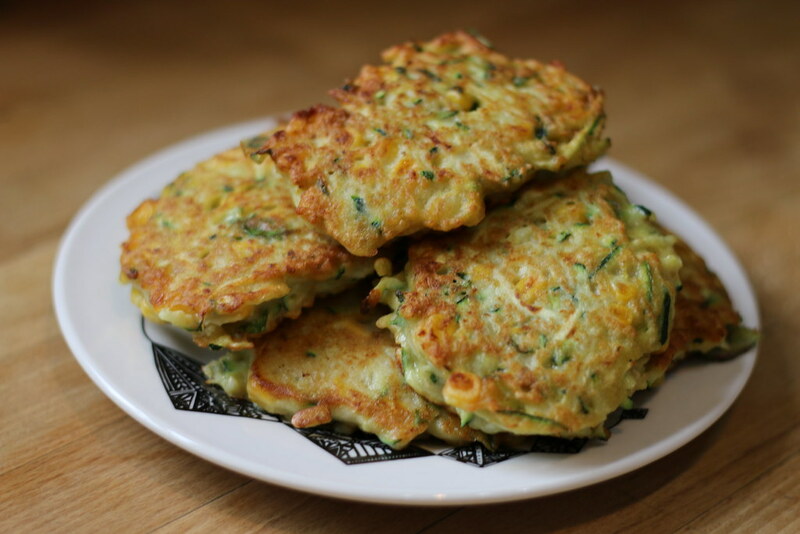 I didn't change anything from the original method, so head over to http://www.thewednesdaychef.com/the_wednesday_chef/2014/08/corn-zucchini-and-chickpea-fritters.html for the how to. Make the fritters quite thin so they cook through to the middle as well as browning on the sides. We didn't like the mint, finding it too overpowering. We thought perhaps some red pepper flakes would do a great job of lifting the flavour. I'll try that next time and update this page! Sweet chilli sauce wasn't a brilliant accompaniment.